Revealed: The only manual that really shows how to save 50% on your energy bills! "Learn How To Radically Slash Your Utility Bills By Up To 50% Each Month Using Methods That Are Available Right Now - Without Installing Solar Panels Or A Wind Generator !" 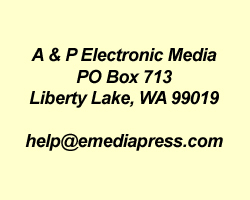 Since 2009, we at A & P Electronic Media have made the following manual available, which is so powerful that it is often imitated but never actually replicated! The Home Energy Savings Guide was formerly known as Save on Home Energy and it has always been one of the best sellers because the information is practical, the solutions are doable and many of the recommendations have become industry standards before most people have heard about them. One of the most important points to fully understand is that so many other experts are trying to convince you to put wind or solar energy on your home to get off the grid or just save on your energy bills, but the facts are... just apply what you will learn in the Home Energy Savings Guide, your solar power system will only need to be half the size! The point is really simple... it costs way less money to cut your energy bills in half than it does to purchase a solar energy system for a home that will waste half the energy anyway! Again, if you cut your energy consumption in half, you'll only need half the solar panels to power your home if you ever choose to go with solar later. Consider this - if you could drive your car the same number of miles for half the cost, wouldn't you do it? Well, this is what the Home Energy Savings Guide is showing you how to do with your home. Since you probably spend a whole lot more on your home energy bills than you do for gasoline, doesn't it make sense to take advantage of this opportunity right now? Remember, opportunities are never lost, they just go to someone else. If you answered yes to any of these questions, then you have had the wool pulled over your eyes. These recommendations are not even remotely close to what it takes to radically lower your uitlity bills and we're about to show you why. First of all, put your mind at ease. None of these solutions require any advanced education in energy sciences. Nor do they require you to build anything that is exotic, expensive or time consuming. You'll be let in on the energy industry's best kept secrets and recommend a few things that you can't buy at your local hardware store. With this information, you will be able to cut your energy costs dramatically. Oh, and don't worry, we'll tell you where to get the stuff. The energy experts have told you that conservation can save a little, but to save more, you have to make sacrifices. Let's get real... they're talking about FAKE CONSERVATION. The national power grid wastes over 50% of the electricity they produce in transmission losses and your home wastes another 50% of the energy that finally gets to you! So you see, there are * HUGE * opportunities available for REAL CONSERVATION. The Home Energy Savings Guide opens the door to these exact opportunites by allowing you to cut your energy waste to the bone. And, you don't have to sacrifice either your comfort or your lifestyle! This Material Is Simply In A Class By Itself! Home Energy Savings Guide is set up so that you can learn exactly how to save energy throughout your entire home! You'll learn EVERYTHING you need. In the end, this process identifies 4 specific categories of home energy usage and the necessary steps to reduce costs in every single one of them! 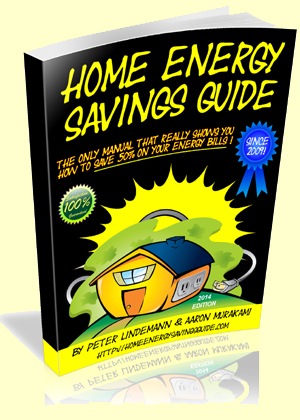 Home Energy Savings Guide is a complete manual that anyone can understand. Once the new information is applied, you'll keep more money in your pocket, month after month. Home Energy Savings Guide contains the energy saving solutions that the power companies aren't telling you because it takes money out of their shareholder's pockets. Thousands of people have used bits and pieces of this material to cut their home energy costs here and there. Now you can have them all in one package. Cutting up to 70% off of the costs of making hot water in your home. This isn't about getting the standard fiberglass insulating jacket that the experts recommend or installing a solar hot water heater. Cut oil heating costs up to 25% or more and I'm not talking about making biodiesel. Leave your thermostat at 72 degrees if you want and still spend less than someone that sets their thermostat at 68 degrees! Cut the cost of lighting your home by over 80% and this goes beyond the standard recommendation for installing the CFL's (compact fluorescent lights). "During the first 14 days of January 2005..., the furnace was operating an average of 4:24 a day to keep the temperature at 69 degrees, or a total of 61 hours and 37 minutes. During the last 14 days of January 2005..., the furnace was operating an average of 2:59 a day, or a total of 41 hours and 52 minutes. The math comparing the furnace usage tells us that the furnace operated 32% less." "After another two weeks of measuring we noted that the attic temperature had dropped by 21.8 degrees. The interior temperature had dropped by an average of 12.3 degrees also. The resulting savings have been an average of $72.14 off my utility bills." "I used only 2/3 the amount of gas last winter ( 2002 ) than I did the year before (2001). I must also state it was a whole lot colder during the winter of 2002 than 2001. We even tied a record low temperature, set in 1878, for one day during the first week of December." "The coal stove now adds 5 degrees more heat to the house than it did previously." now, it only takes 3! As you can see, not only is there a significant savings in energy costs, but also the life expectancy of the A/C units will increase by approximately 4 times." "...We occupy a 3,500 square foot block building with a flat roof. For the past two years the summer heat literally made it impossible to work in the space... We now enjoy a space that visitors think is air conditioned. On hot days the temperature differential from outside to inside has exceeded 15º. In every way, your product exceeded our expectations. " "It has only been two weeks ... but our power usage has gone from 80 kWh's per day down to 51. This stuff really works." "So far, I've only done half of the Hot Water Heater Fix, and I've had to drop my thermostat setting to 110*F to get the water to come out at 120*F. Amazing common sense stuff. Your book ROCKS! "The results are...unit stayed on average 13.3 degrees cooler @ 83 degrees ambient temperature. This refer unit ran 16.8% less time per cycle and 19.2% less cycles when loaded and on the road. Wow, in fuel costs alone that application was paid for in no time. The reduction in "lost load" claims and less stress on equipment cannot even be measured. I am impressed." Have you been told the following? The little tips and tricks from the power companies are the best way for you to save money on your power bill. That you have to sacrifice your comfortable lifestyle in order to be a part of a sustainble energy future. To really make your home energy efficient, it will cost you way more than you are prepared to spend. If you are like many others, you might recognize a number of these statements. We would all like to live in a society where we are always just told the truth, but the power companies make money by selling electricity. There is no company in the world that tells its customers how to use less of its products. Think about it, they wouldn't make as much money that way! Once you know what's in the Home Energy Savings Guide, you will easily be able to navigate through the web of lies and untold truths about energy use and actually be "empowered" instead of having power taken away from you. "Everyone is trying to double the mileage of their car, when the real energy savings is in 'doubling the mileage' of their HOME!" Dispel the myths about alternative energy sources - adding solar may not actually save you any money. Save money by spending the least and getting the biggest energy savings. Heating & Cooling are usually the biggest energy costs in your home. Slash your costs without necessarily having to replace your furnace and air conditioner. If you have Energy Star appliances, that is a good start, but we'll show you how to save even more. Learn how to save over 80% on your lighting bill. PLUS - we'll show you how you can pay for your home improvements without touching a single penny of your primary income. So again, here's a brief wrap up of this amazing money saving manual. It starts you at the beginning with some powerful fundamentals, and builds concept upon concept for each and every energy expenditure, for virtually every possible home. You'll learn practical solutions that nobody else is talking about. All the utility companies and conservation gurus apparently don't want you to know this stuff, because if you did, you wouldn't be spending so much money on your utility bills. Home Energy Savings Guide is a blue print for saving money that works at a highly integrated level. It provides a system of practical, doable steps, that you can start taking right now, to transform your home from what it is into an extraordinary home that uses REAL CONSERVATION methods to let you save 50% on your home energy bills! A Teenager Can Do It! ...these concepts are so powerful and effective, it makes almost all the mainstream and green thinking material out there obsolete. You can't mess them up. Just follow the directions in the Home Energy Savings Guide manual - then take a step back and begin experiencing a reduction in your power bills now! ...jump on this chance to get the Home Energy Savings Guide manual from us right now. These methods are as scientific as universal laws. It doesn't matter who's using them, they work. If thousands of others have used these successfully, so can you. Now listen, this manual isn't fluffed up with a bunch of unnecessary philosophy - it is just the stuff that works, period. The manual is to the point and very powerful. Until we released this eBook originally as Save on Home Energy, one of the only ways you could get this information was by spending thousands of hours researching, experimenting or knowing the right people! This material has just never been put together before. We have been involved with everything from the simplest conservation technologies all the way up to the most exotic advanced alternatives. We operate two energy forums with over 100,000 registered members and we produce an energy science & technology conference ever year, which is attended by people from all over the wolrd. And, we have published almost 30 book and video packages and most of them are about all kinds of energy related topics. NASA even lists Peter in their energy research literature as a reference! We've put together this amazing eBook, the Home Energy Savings Guide, because we're concerned about where the world is heading. We know that every home owner can cut their energy bills by 50% quickly, and that the cumulative impact of this on the power grid of any nation would be extraordinarily important. In order to facilitate this, We're ready to give you this amazing package at a huge discounted price. When we first released the original edition as Save on Home Energy back in 2009, it sold for $97. If you normally spend $2000 a year on home energy costs and you save 50% of that, then this book is worth $1000 in the first year to you! Days To Try "Home Energy Savings Guide"
Get your hands on a copy of "Home Energy Savings Guide" right now. Then get comfortable and take some time to read through it. Take a look at each of the empowering chapters and see for yourself if this isn't the most powerfully effective material you have ever seen on the subject. And don't rush. You have a full two months to read through and apply the information and then decide. If within 60 days, Home Energy Savings Guide hasn't proven to you that you CAN actually begin saving on home energy costs... or if you're unsatisfied for any reason at all! Simply write me an e-mail saying so and I'll return your investment ASAP. Take that as my promise to you. You have up to 60 days to check out Home Energy Savings Guide to see if you too can begin experiencing home energy savings -- risk free! Home Energy Savings Guide Now! ...but you'll be reaping the rewards for years to come. before it slips your mind. "Home Energy Savings Guide" Now! Peter & Aaron, I'm ready to begin saving on home energy costs with the same amazing tips, tricks and tools that thousands of others have been quietly using for years. I'm ready for these tested and proven methods that will work for me! Give me the Home Energy Savings Guide eBook now so I can get started right away. I know my satisfaction is guaranteed so my decision is risk-free! Get "Home Energy Savings Guide" right now and read through it. Then decide if it isn't the best home energy savings manual you've ever seen, at ANY price! Your copy is guaranteed to meet even your highest expectations, and if not I'll personally make sure you get back your investment ASAP. P.P.S. Remember, I'm taking all the risk for up to 60 days while you get to test-drive the system. If it doesn't work for you, you pay nothing!